Homes for Sale In South Jordan! I'm am a local REALTOR and specialize in your local community in South Jordan. I know your local home market, and am an expert in marketing your home, or helping you negotiate a home you're buying. Call me today and let me save you a lot of time, money, and frustration in the process of selling or buying your next home! View current homes for sale in South Jordan below, or click on Search above to look in other areas. "Comfortable one level living in an amazing quiet and secluded 55+ Senior Community. It has granite countertops, in this open kitchen with mountain views. A Master bedroom with walk in closet a large shower. The unit has wood flooring and 9 ft. ceilings. Very Modern Safe and Livable in a friendly environment. The clubhouse is convenient and includes all of the amenities of Daybreak, such as a large indoor swimming pool, game rooms, outdoor parks, all Daybreak amenities, and scheduled recreation events. It is convenient to shopping, dining, and entertainment in the Daybreak community." "Immaculate and amazing Condo in the heart of Daybreak! Shows as good as new! Open kitchen, dining, and family room has huge picture windows, access to the private balcony, and 2nd story vaulted ceilings. Kitchen features tons of cabinetry, stainless appliances (all included), pantry, and island for extra seating and storage. The upstairs has two bedrooms, including the master with large his/her closets, a full bathroom, and laundry room. 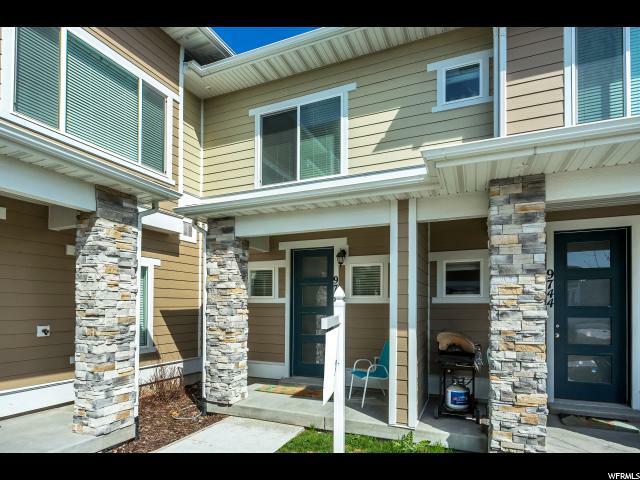 This sweet condo is literally across the street from the future Harmons grocery store, Oquirrh Lake, Food Trucks, the Pumpkin Regatta, and other Daybreak Sponsored Events, and trails. A short ride away is Trax, shopping, dining, entertainment, medical facility, schools,parks, pools, and courts. Schedule a showing today to see this amazing condo- you won't be disappointed! " "Great main level condo with tons of natural light. This two bedroom, one full bathroom home has perfect indoor/outdoor entertaining on a large covered patio. Your HOA fees include landscaping so sit back and enjoy an easy-living lifestyle. 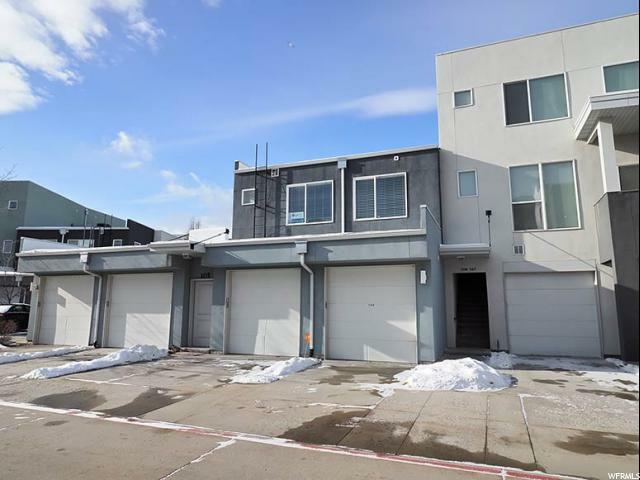 This unit has an attached garage which is rare! There's an abundance of activities within a few steps of your front door...Oquirrh Lake, Food Trucks, trails, kayaking, biking, parks, and courts. 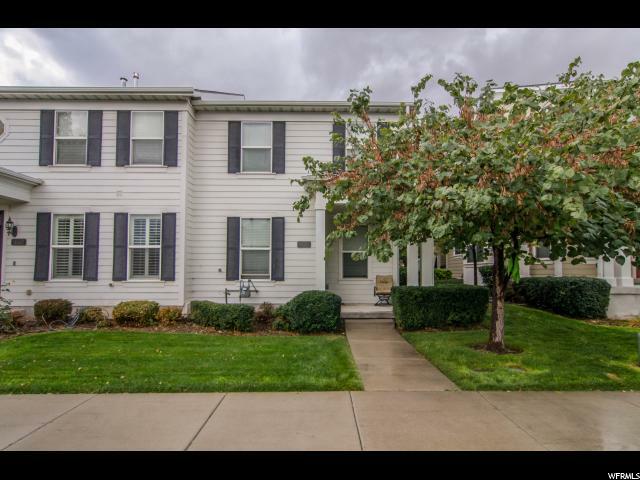 Schedule a showing today to see this great condo!" 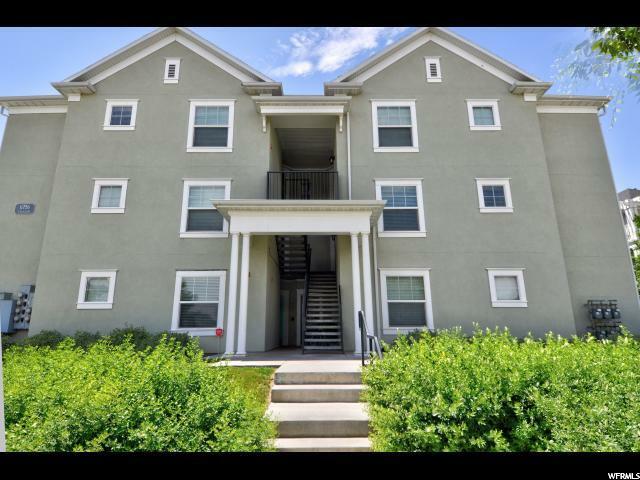 "Beautiful updated condo is a must see! Fractures hardwood floors granite counter tops large master bedroom with attached master bathroom. Includes all daybreak amenities, pool, tennis courts, bike trails, access to the lakes and cable and internet included. Call today! This home will not last long! " "Great Daybreak Condo ready to be sold. This great condo has a bright and open floor plan with a covered balcony, breakfast bar large kitchen and open floor plan. 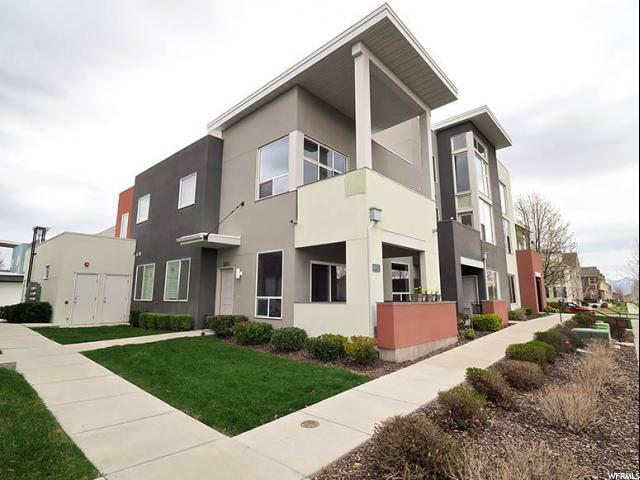 Walk in closets, 3 bedrooms AND you get all the Daybreak amenities-trails, pools, parks, lake with paddle boards, row boats, workout facility with daycare, basketball, tennis and volleyball! Enjoy the shops and eating at SoDa Row! Please text/call for appointment., requesting 24 hours notice to show please. Lenders available for loans on this unit. NO FHA OR VA. 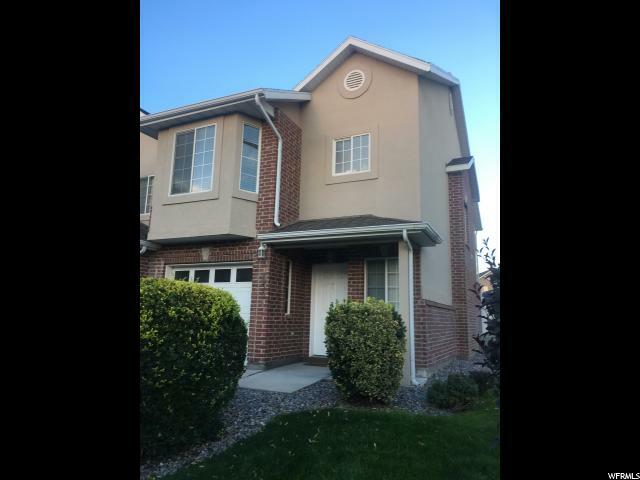 AGENTS SEE REMARKS"
"Charming and well-maintained South Jordan townhome in Santorini Village. 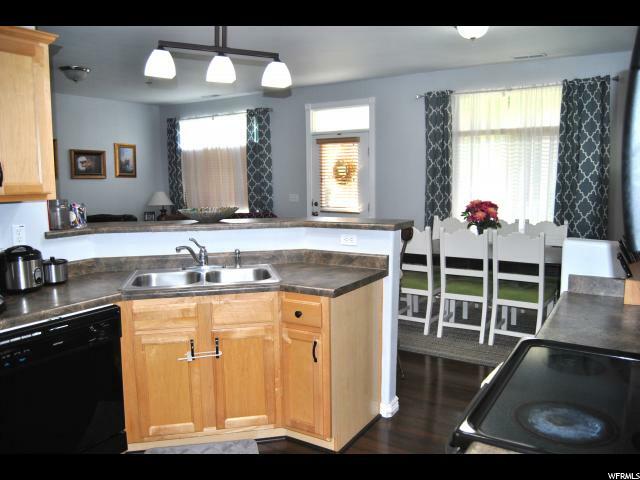 Upgrades throughout include stainless steel appliances, quartz countertops, shaker cabinets and flooring. The oversized one-car garage has plenty of room for storage. This central location is fantastic with ample amounts of restaurants, entertainment, and shopping nearby. Come and see today! " "Wonderful single level living. 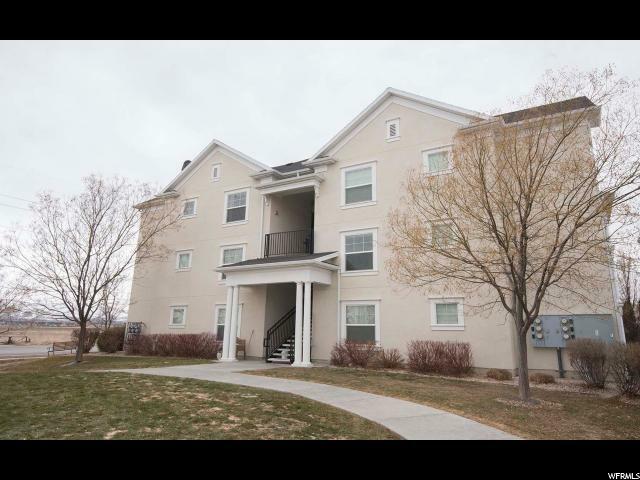 Well maintained condo in Daybreak. GREAT floor plan. Ground level/no steps to climb. Most maintenance is done for you. Perfect for the person with better things to do than cut the lawn. The HOA covers so much. most exterior maintenance, exterior homeowners insurance, snow removal, fitness center, indoor track, basketball and volleyball courts, high-speed internet, use of the private residence only lake/boats/paddleboards, 3 heated pools...I could keep going. Don't miss out! NO FHA Financing Cabinets In 3rd Bedroom can stay or the seller will remove them and repaint. " 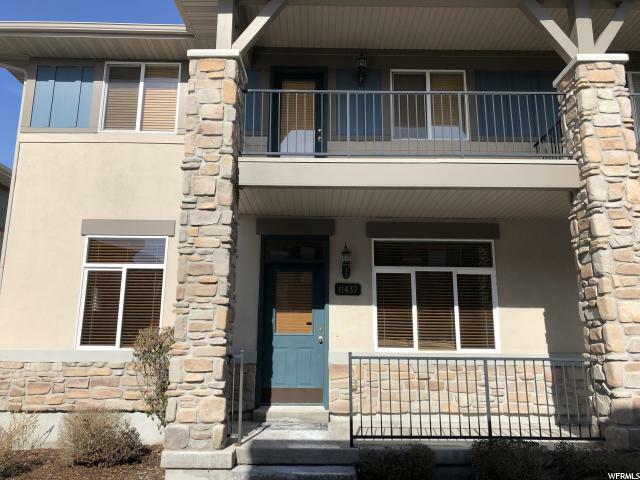 "AMAZING CONDO WITH TOO MANY UPGRADES TO LIST! Located in a wonderful Daybreak community with shopping, dining, entertainment, fantastic schools, gorgeous lakes, 3 swimming pools, canoeing, kayaks, community center, gym with access to indoor basketball all year long and so much more! 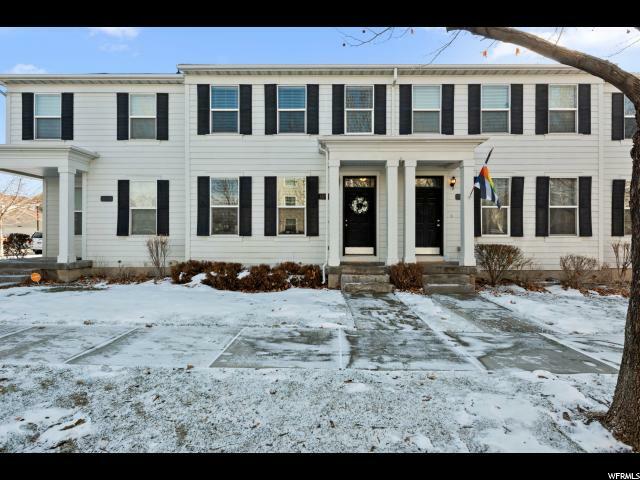 This charming home features a wide open floor plan, granite counter tops, dark hard wood floors, vaulted ceilings, spacious bedrooms, walk in closets, a large kitchen pantry, and nice sized laundry room with storage space! The covered patio offers incredible mountain views and extra room for entertaining. This home is a must see! Buyer to verify all info and MLS data including, but not limited to: schools, square footage, acres, all HOA info, etc....Information is not guaranteed." "Quality everywhere. This is a well taken care of home with a wonderful layout and a great kitchen. There's a large private balcony for BBQ's, entertaining guests or just to relax on. most of the maintenance on the exterior is done for you. Lawn care, snow removal, exterior maintenance. Spend your weekends relaxing and not worrying about cutting a lawn. The HOA covers so much! Gym membership, high-speed internet, Free rentals of private, residents only boats, multiple, residents only heated pools and a lot more. You will not find a better priced 3 bedroom in Daybreak. This really is a beautiful home. See agent remarks for important details. " "The Views from this stand alone townhouse are spectacular. Come enjoy the high end finishes and natural light in this unique home. Take a short walk to Oquirrh Lake or to Brookside park. Smart wired Ctrl 4 system. Deep soaker tub in bath. Come view this former Model home. Make an appointment today!" 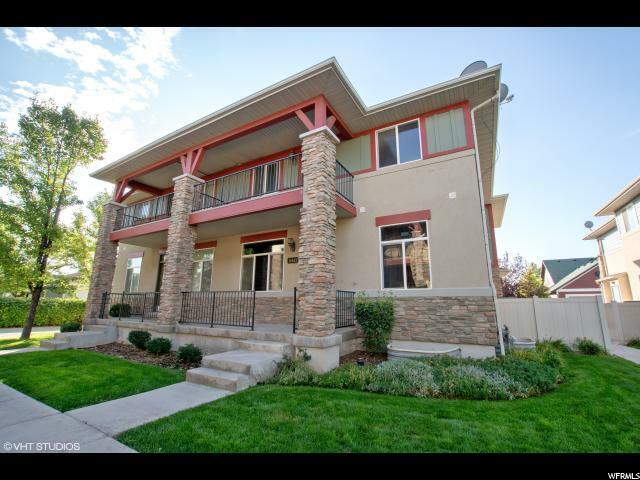 "Great 3 bedroom 2.5 bath condo in Daybreak. Tile floors and new carpet and paint through out the home. Stainless steel appliances. Lots of inclusions with the HOA, landscaping, snow removal, internet, 4 sport courts, 4 pool and a splash pool, 23 beautiful parks with a lake to kayak and fish. Hiking trails to walk along or take your dogs on. Seasonal Farmers Market and summer concerts. Balcony off the master bedroom and patio in back for summer BBQ. Buyer and buyers agent to verify square footage and tax information. " "Super clean end unit condo located near all the popular shopping and dining at the District. Light & open floor plan with natural flow into the kitchen/dining area. Nice master suite with walk-in closet & en-suite that includes a garden tub/shower combo. Beautiful covered balcony off the master bedroom to enjoy all of your summer nights but the best part about this home is there's still room to grow in the unfinished basement! Seriously, endless possibilities await you. Schedule your private showing today. " "BEAUTIFUL TOWNHOUSE STYLE CONDO IN DAYBREAK'S CARRIAGE HOME SUBDIVISION * GORGEOUS HARDWOOD FLOORS * CUSTOM KITCHEN CABINETS * BEAUTIFUL UPSTAIRS DEN, OFFICE, NURSERY, OR 3RD BEDROOM * PATIO OFF THE KITCHEN * COVERED DECK OFF THE MASTER BEDROOM FACES EAST FOR SHADY EVENINGS * WALK-IN CLOSET IN MASTER BEDROOM * WALKING DISTANCE TO DOWNTOWN DAYBREAK * THE PREVIOUS BUYER FAILED AT LITERALLY THE LAST MINUTE * TWO LENDERS ARE READY TO DO THIS LOAN." 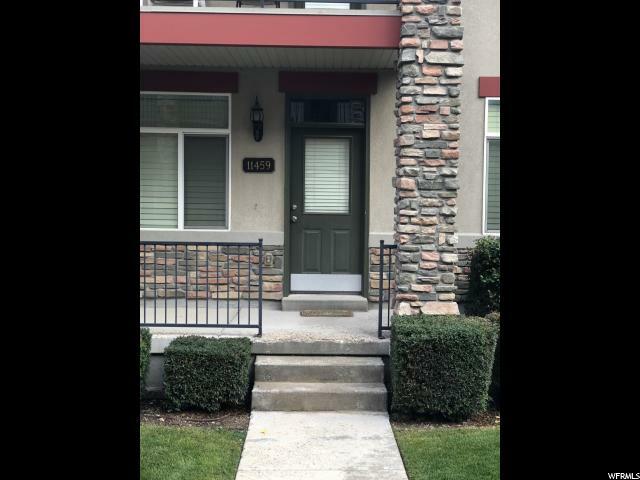 "*Lowest Priced 3 Bedroom Townhome in Daybreak, what makes it even better, is the 2 Car Garage* Gorgeous Upgraded End-Unit* Bright & Inviting Living Room* Stunning Kitchen with SS Appliances & Staggered Cabinets* Spacious Master Bedroom w/Walk-in Closet & Full Bath* Located Near lake, parks, swimming pool, tennis courts, gym, and walking/biking trails*"
"The Roseville plan features 2 bed, 2.5 bath and an oversized one bay garage. All the desired upgrades included, quartz counter tops, tile back splash, stainless appliances upgraded floorings, blinds and a home automation pkg. 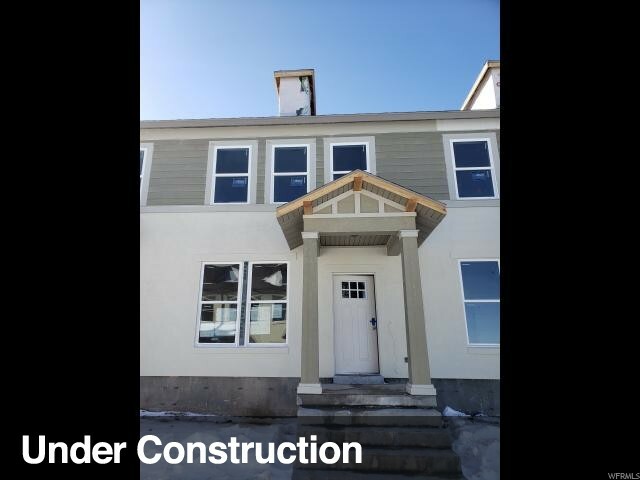 Home projected to be complete in April. " 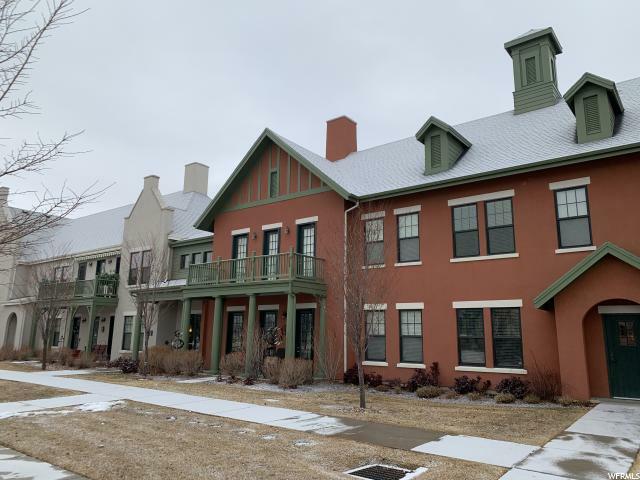 "This 2 bed, 2 and a half bath end unit townhome is the Roseville. It features a master bath with dual vanities, euro style shower and a walk in closet. The large main floor bedroom features it's own attached private full bathroom. Stop by our model, or call to schedule a showing!" "Beautiful open floor plans with huge window and 2 balconies. Upgraded flooring, cabinets and cable railing. Home automation package included. Close to large city park , trails, swimming pool and bakery. Home completed in May. Still time to pick countertops and carpet!!!" 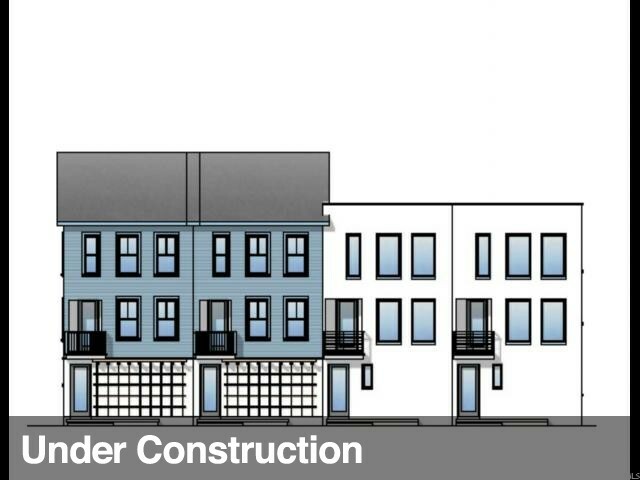 "BRAND NEW with 9 Ft ceilings on every level, huge windows with open floor plan built near a large city park. Spacious kitchen and 2 balconies. Built to energy star 3.0 . Enjoy the Daybreak lifestyle with all of the included amenities in this highly desirable community "
"**Multiple Offers! 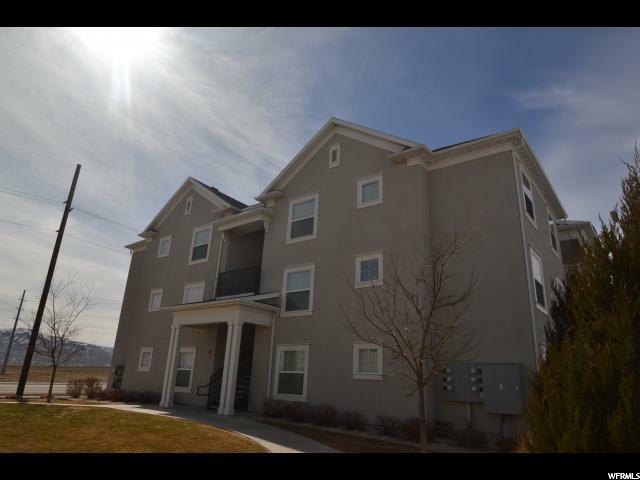 Highest and Best Due April 5th by 7pm** Like new 2 bedroom 2 bath town home. Granite kitchen with white cabinets and Stainless Steel appliances. Plantation shutters. Large bedrooms, walk in closet. Fabulous location close to the District; shopping, movies and restaurants. Community amenities include swimming pool, kids pool and hot tub. Luxurious club house for all your entertaining needs, pool table, full kitchen, game room, meeting and gathering areas and theater area, deluxe gym with work out equipment. This home shows a 10!! A MUST SEE!" 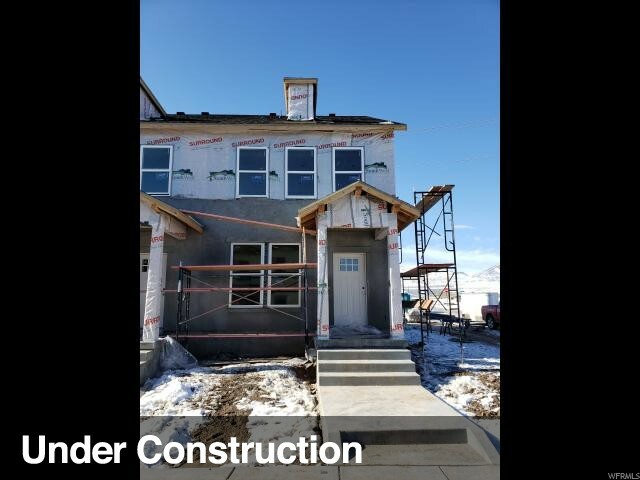 "Brand New energy efficient home in Daybreak. Enjoy the Daybreak lifestyle close to parks, trails and swimming pool! Huge windows and tall ceilings. Fully Fenced YARD and No yard work!!! " 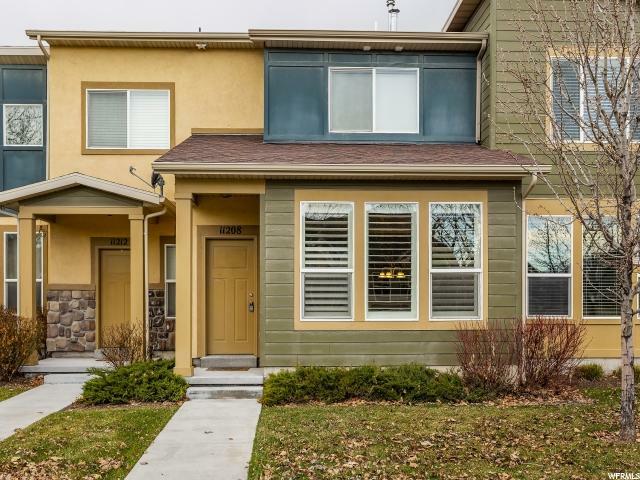 "This townhome is move in ready with fresh paint throughout. The home has a total of 3 bedrooms and 2.5 baths including a large master bedroom that has its own a private bath and large walk in closet. 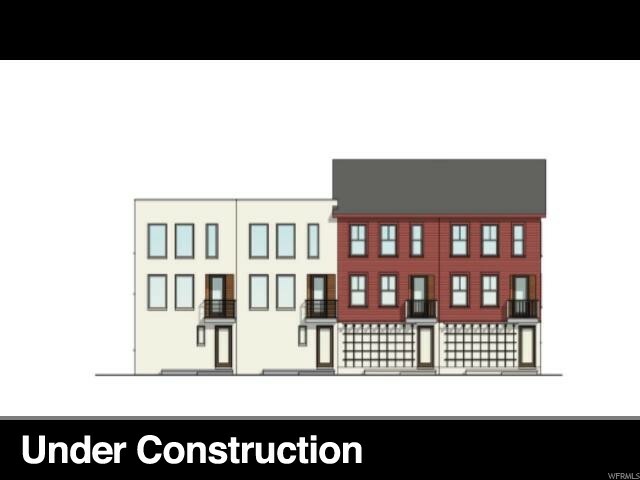 The full height unfinished basement is perfect for storage, or can be finished off to add another bedroom, family room, bathroom, and laundry room. The HOA includes high speed internet, your water bill, access to the Daybreak Community Center gym, and all of the amenities at the lake. Snow Removal and Lawn care are included. Square footage figures are provided as a courtesy estimate only. Buyer is advised to obtain an independent measurement." "Great home! Bring an offer. This is darling inside and out. You will love the open feel and the great layout. This is a great home you will love the feel as you walk in the front door. Private patio off the kitchen for great BBQ or your pets. Make this your home!" "Beautiful .46 acre lot in well-established area of South Jordan. This home is NOT livable in its current condition. The home has been gutted and ready for a remodel or tear-down (accompanying paperwork will be provided if buyer wants to do a tear-down). Please see photos. Also listed as a lot MLS #1575657. Great neighborhood, very close walking distance to the elementary school. 400 sq. ft detached garage. A well is on the property. Playhouse is excluded. This home will not qualify for traditional financing. Must pay cash or obtain a construction loan for the remodel. 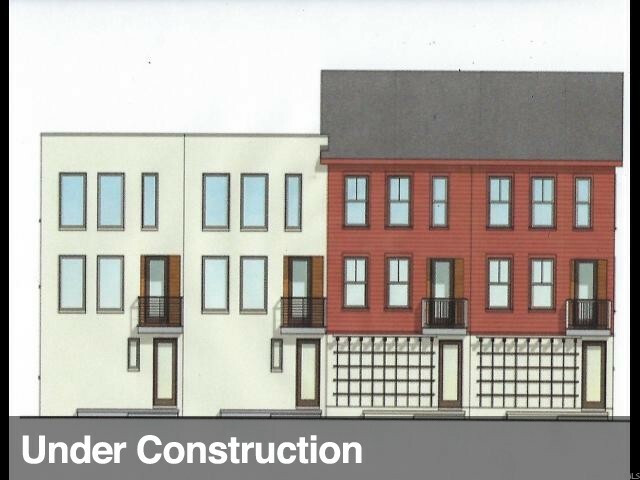 Great opportunity to be in an incredible neighborhood." 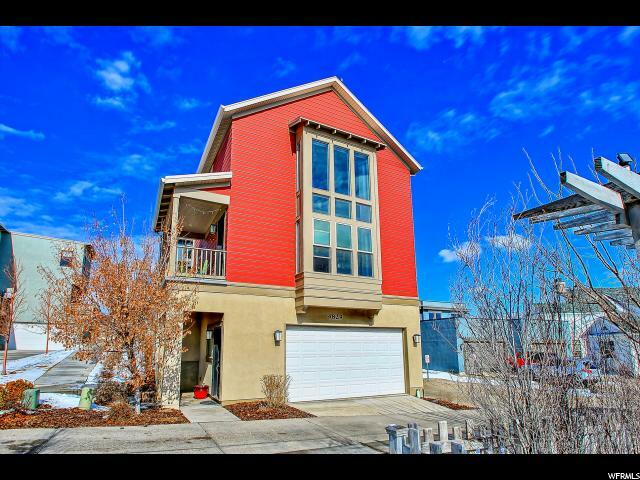 "OPEN HOUSE March 23rd 12-2 PM Amazing Town Home located in the very desirable, quiet Oquirrh Park Subdivision. Fenced backyard area, laundry on the same level as the bedrooms, warm and cozy living area on the main floor. Conveniently located directly across from the clubhouse and pool. GREAT location just outside of Daybreak, Splash pad and community park within walking distance. 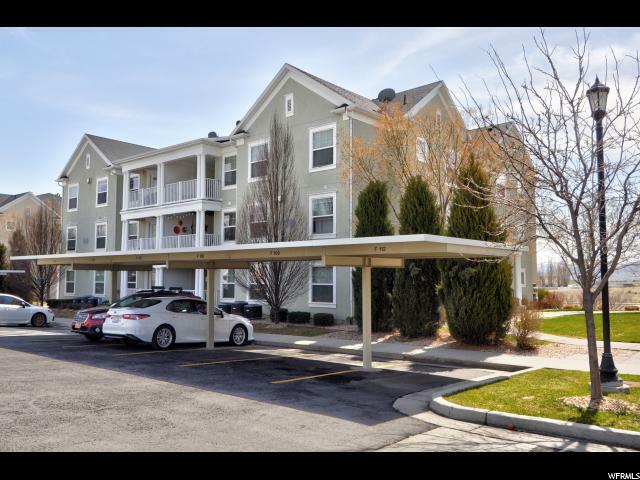 Close to the District, Restaurants, shopping and Bangerter Highway. AGENT RELATED TO SELLER*** Sq ft. figures are provided as a courtesy estimate only. Buyer/Buyer agent to verify all. Alarm can be included if the buyer assumes the contract."